To ensure that a PDF file is truly portable, fonts used in the document need to be embedded in the file. In case of certain TrueType fonts, such as Arial and Courier New, every Windows system is already bundled with them. Hence, embedding these fonts can only serve to increase size of the PDF file. A good solution would be to embed only those TrueType fonts that are not always likely to be found on all systems, while excluding those that can reasonably be expected to be present everywhere. Drop the gtPDFEngine component on the form from the eDocEngine tab on the Delphi component palette. Set the property gtPDFEngine1.Preferences.EmbedTrueTypeFonts to indicate that you want to embed fonts used in the PDF document. Add the names of the fonts you DO NOT want to embed to gtPDFEngine1.FontEmbedExcludeList. (This is the trick!). NOTE: Font names are case-sensitive. Set gtPDFEngine1.Font for the text to be rendered. Repeat these steps for more text with different fonts. 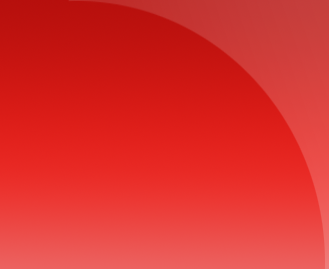 Complete the rest of the code and run the project to generate the PDF. 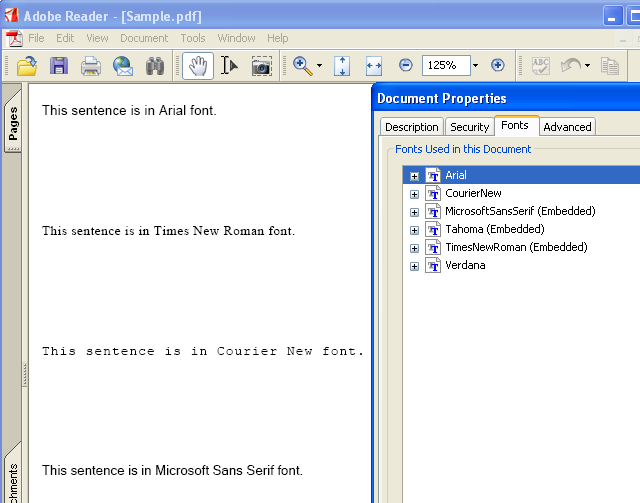 Open the generated PDF file in Adobe® Reader®. Choose File » Document Properties ... option from the menu or press the Ctrl+D keyboard shortcut. You should now be able to confirm that select fonts have not been embedded. See screenshot.